2018 Bad Habit 2 More grip, more float and more flat-out trail crushing fun - what’s not to love?.. 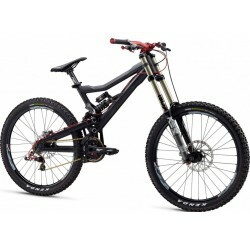 FRAME ALL-NEW Jekyll 29", 150mm travel, BallisTec Carbon front triangle, SmartForm C1 Alloy swing.. Built for XXC The ultimate race bike for the rough and tumble realities of modern XC. It's..
Clean cable management: Interchangeable in-head tube cable guides hold the housing securely and s..